Chitosan has been proven as a natural health supplement with good antimicrobial, anti-oxidation and film-forming properties. With the animal-free trends, mushroom-derived chitosan is naturally replacing animal-derived Chitosan. 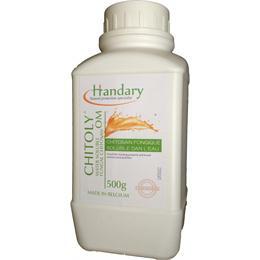 Handary provides two different types of mushroom chitosan, one is Chitoly™ AB produced by extracting from Agaricus bisporus. Which shows a board-spectrum antimicrobial effect when only dissolved in acidic solutions, and it also can form a film layer to barrier oxygen on solid food surface. The other is Chitoly™ OM produced by extracting from Pleurotus ostreatus, which can prevent microbial and oxidation spoilage when only dissolved in water, and also increase the clarification and reduce the sediments of juice drinks. 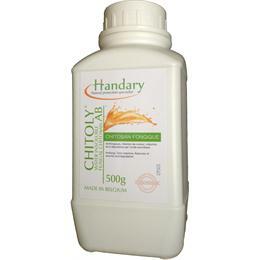 Chitoly™ is a group of mushroom-sourced Chitosan, distributed worldwide.